In this study, world-renowned expert Dr. Scott Edgett collaborates with the American Productivity and Quality Center (APQC) to explore how 200+ companies, including some of the world’s top companies, achieve stellar results. Edgett shares numerous benchmarks and offers valuable interpretations, insights and ideas through in-depth illustrations of top performing companies. 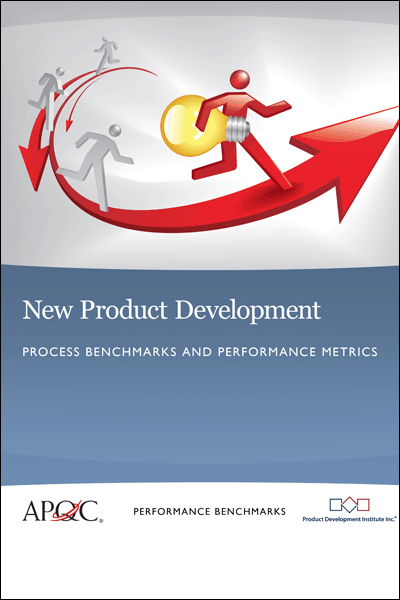 Use this study to benchmark your new product development process performance against your peers. 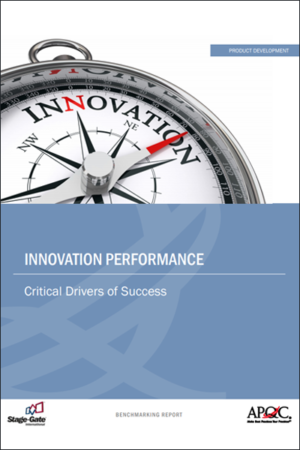 Discover how you compare with other companies on numerous critical innovation process metrics. Additionally, identify practices at top performing companies that you could be implementing today to get a competitive advantage and better business results. Air Products and Chemicals Inc., a global atmospheric, process and specialty gases, performance materials, equipment, and services provider, strives to balance innovativeness, operational excellence, and corporate responsibility. 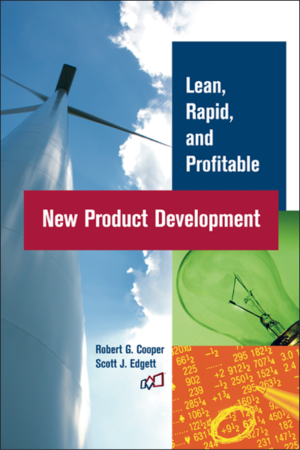 Learn about Air Product’s approaches to project selection and portfolio management that balance risk and reward across three classes of new product projects. Ashland, Inc., a global specialty chemicals organization, blends new product development with Design for Six Sigma. Learn how Ashland implemented a solution development council to maintain the health and stability of its innovation processes and drive organic growth. Becton, Dickinson and Company (BD), a global medical technology company has a renewed focus on global product development systems that balances operational excellence with successful innovation. Learn how this initiative consistently fills BD’s innovation funnel with significant new product ideas and delivers winning new products to market on time. Electro Scientific Industries, Inc. (ESI), a leading supplier of innovative, laser-based manufacturing solutions for the micro technology industry successfully re-introduced its New Product Introduction Program. Learn how this tighter, formalized program has helped ESI create effective global cross-functional teams and successfully move towards offshore manufacturing. EXFO provides optical testing solutions, wireless protocol analyzers, network simulators and portable test sets to the telecommunications industry. 44% of its workforce across 25 countries is involved in R&D. Learn how EXFO’s organizational commitment to bridge the cultural and time barriers associated with global product development helps it develop cohesive teams.